Hosting a Christmas party this year? Looking for ideas to take along to someone else’s? We’ve got five great Christmas cocktails, and a few extra tipples, that are guaranteed to get any party started! A celebratory drink when blood oranges are in season (but you can substitute with normal oranges). For this we suggest using prosecco for the fizz, or if you’re feeling extravagant, champagne. A splash of Campari doesn’t hurt either! The mulled cider was so popular at our London Christmas fair last year that we’ve had lots of requests for the recipe. This is from Ben Watson’s mate, Cider Andy. He’s adamant that to get the genuine article, you need to use his two-year-old Dartmoor Cider, but any dry, scrumpy type cider will do. A great drink for drivers or kids, this nutritional smoothie is sweet and warming. Dress it up with a fancy straw in a nice glass. Great with brunch, or as a hang over cure, this cocktail is a twist on the classic using vibrant blood oranges (or standard oranges). A take on the classic Savoy cocktail of orange juice, gin and dubonnet, said to be the Queen Mother’s favourite tipple. 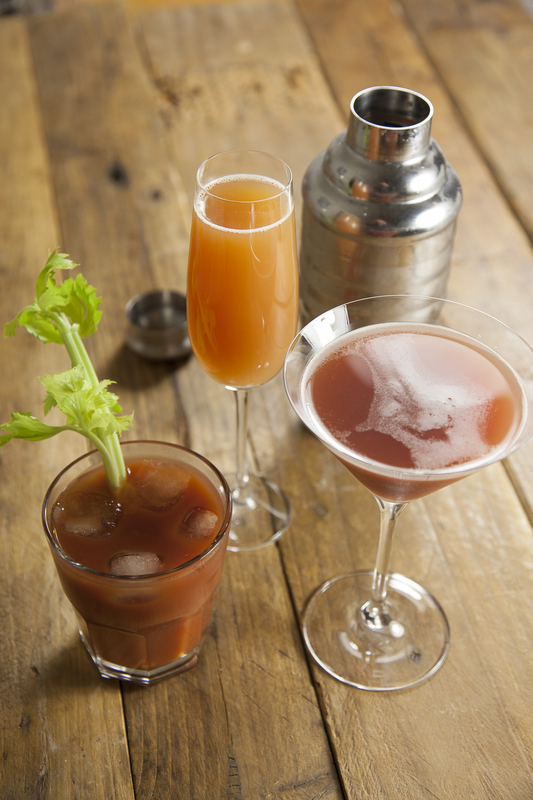 In January our pub in Islington, Riverford at The Duke of Cambridge will be serving veggie inspired cocktails and mocktails, for those who are recovering from all the celebrations. The recipes are highly secret, but if you fancy yourself as a bit of a mixologist, then our cocktail master at the Duke has let you know what the main ingredient combinations are below. If you’d rather let someone else do the hard work then head over to The Duke in the new year to taste how it’s done by the professionals! This entry was posted in Ben's wine blog, Blogroll, Christmas and tagged apples, Christmas, cocktails, drinks, Duke of Cambridge, oranges, recipes. Bookmark the permalink.